Our elite company provides the best repairs and installation services for garage doors. Whatever questions on garage doors you have, you will find them answered in detail here. How do I fix a damaged door panel? This will depend on the type of damage incurred. Rotting wood has to be removed with a chisel and the holes have to be filled with a special material. Rusk requires instant removal as well. If the damage is serious and/or extensive, panel replacement will be needed. How do I prepare for garage door replacement? The only thing which you need to do is to keep the area clean and de-cluttered. Park your car on the street or somewhere else. Make sure that your kids will not play around. The specialists in garage door repair Belmont will take care of the rest. How can I install my brand-new manual garage door? When it comes to your garage door installation project, it must be carried out by a professional. A wrongly installed garage door can lead to severe accidents which can put your life at risk. In addition to this, experts at Garage Door Repair Belmont are completely at your disposal. Why does my garage door keep reversing when closing? There are two main causes for this. In the first case, the spring may be too tight. It has to be properly balanced so that the door closes fully. The second cause is malfunctioning of the safety reversal mechanism. 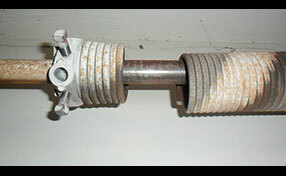 In this case, the mechanism and the sensors have to be inspected and repaired or replaced immediately. 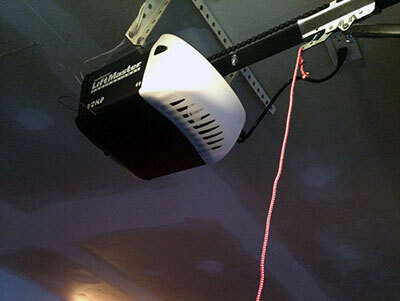 Our garage door opener isn’t working even if we push the button, what should we do? Check the electric outlet where your opener is plugged in to. Make sure that the power supply is not cut off. If it is possible, plug the switch to other available channels just to compare the electric supply. If the door opener still fails to operate then it is the best time to consult our professional technicians to identify the possible root of the problem. My wife is concerned with garage door opener noise, can you help me choose one? Garage door openers have mechanical parts moving about when they're actively operating. This is why it's normal for any type to produce some tolerable noise. Noise shouldn't be a big issue since opening or closing a door takes a very short time to complete. However, if you are really particular about noise, you should consider getting one with a belt drive.